Rotten Tomatoes Plot: Years after the events of The Bourne Ultimatum, former CIA assassin Jason Bourne (Matt Damon) resurfaces just as his former employers are implementing a new program aimed at hunting him down. Now fully recovered from his amnesia, Bourne teams up with Nicky Parsons (Julia Stiles) to uncover the ultimate truth about his past and his family while simultaneously exacting revenge and eluding capture by the government forces hot on his trail. Paul Greengrass returns to helm this sequel, with Tommy Lee Jones, Alicia Vikander, and Vincent Cassel co-starring. It's been almost a decade since The Bourne Ultimatum; yet Greengrass & co. apparently failed to come up with any new ideas. 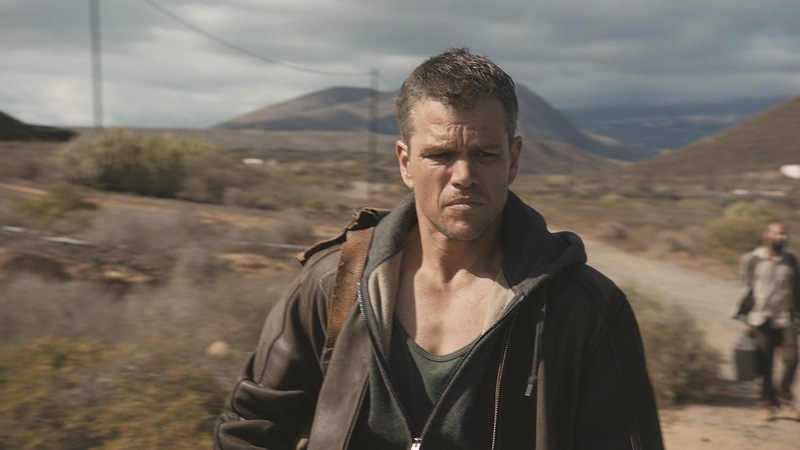 Jason Bourne is a carbon copy of the previous three titles (The Bourne Legacy doesn't count) only older. Exotic locales? Athens, Berlin, Reykjavik and Rome (among others.) Hazy flashbacks? Check. Implausible one-punch knockouts? Ad nauseam. Sneaky CIA operatives? The more the merrier. If you can explain the difference between Blackbriar, Iron Hand and Treadstone, you're a better man than I am. The action's still first-rate; but as Jones advises, "You have to stop this, and stop it now."